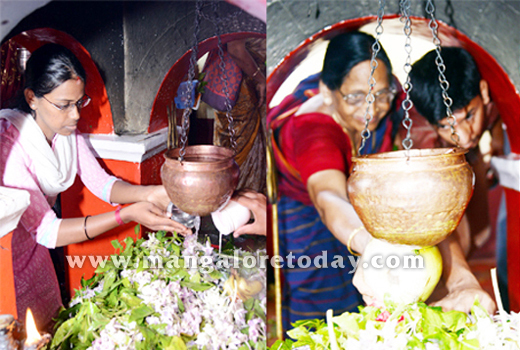 Mangaluru, Mar 07, 2016: Mahashivaratri is being celebrated with great religious fervour in various Temples dedicated to Lord Shiva across the district on March 7, Monday. In Mangaluru, devotees are thronging the Kadri Sri Manjunatheshwara Temple, Kudroli Sri Gokarnanatha Temple and Sri Mahalingeshwara Temples at Kavoor and Pandeshwar. Special poojas are offered to the Lord and various other rituals are also being performed to mark the holy day.